Startup business loans are some of the most requested small business loans out there, but the fact is that most people have a very hard time getting them unless their businesses and credit scores are exceptional. So, what’s a young entrepreneur supposed to do? When startup business loans are clearly not going to pan out, you’re going to have to get a little bit creative. Here are some of the better alternatives to running through the rat race of a startup loan. Enter a think tank or an incubator. This sci-fi sounding option basically means that you enroll in a specialized program that teaches you how to run a business successfully. Incubators not only provide excellent mentorship programs and information for aspiring business owners, but also often help businesses take flight with money from the organization itself. The best part of this is that there are many think tanks and incubators available, and that many of them specialize in helping people who are in a minority make their business bloom. Consider self-funding if possible. Obviously, a loan would make things much easier, and would make it easier to make your business happen sooner rather than later. However, when all else fails, the one person who you can still count on is you. Self-funding basically means that you work hard to save up enough money to make it a possibility. It may take months, or even years, but if you’re serious about it, this will give you the autonomy you want over your business that other options may not allow for. Though it may be hard to pull off, crowdfunding is a possibility. Sites like Kickstarter have been able to raise millions for companies and inventions that have piqued consumer curiosity. It might work for your company too, assuming that you have a knack for marketing and that you have a product that is extremely innovative. The cool part about this form of fundraising is that in some cases, you might not actually have to pay it back. Go through a 3rd party lender, a friend, or a family member. Having good connections will obviously be of good help to those who want to get funding for a new small business. Of course, you don’t have to go through the awkward actions of asking a family member for cash if you go to a 3rd party lender that specializes in startup funding. 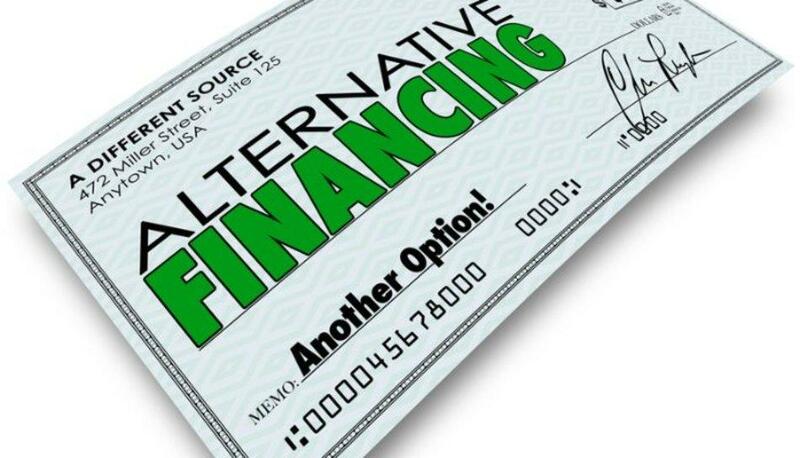 Considering the clout that alternative business lenders are getting, it's safe to say that there's plenty of alternative business funding sources out there that you can pursue. The bottom line here is that a little bit of creativity can go a long way when it comes to figuring out financing. Give it a shot! You might end up getting the funding that you need sooner than you think.